we provide investment management services to help you achieve financial security and promote building a sustainable world while protecting our quality of life. Scott L. Pope CFP provides investment consulting services to Progressive Investment Management with offices in Eugene and Portland Oregon. Scott Pope is going on 30 years of experience in the sustainable investment industry. He first recognized his interest in sustainability while obtaining his degree in Environmental Studies at the University of Oregon. From there he earned a degree in Energy Management Focus on Renewable Energy from Lane Community College. In 1989, while working at a financial planning company, he received a job offer from Progressive Investment Management that focused on socially and environmentally responsible investing. This role evolved into his business, Sustainable Wealth Management. Since 2008, Scott has been the treasurer of Environment Law Alliance Worldwide, a globally recognized non-profit that focuses on promoting sustainability. Additionally, he has served on the ELAW Board of Directors for 10 years. Scott serves on the Board of Advisors for the Pacific Rivers Council. Eugene Mayor, Kitty Piercy, appointed Scott to serve on the Sustainable Business Initiative in 2005 - 2006 which created guidelines for the government’s Office of Sustainability. Scott was part of the core group of developers on Portfolio21. In October 2006, Scott was featured on Outside Magazine’s Panel of Experts for an article on Green-Market Web Sites. 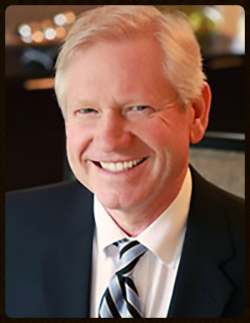 He is a member of the Financial Planning Association and is a Certified Financial Planner. Scott continues to offer his consultation and welcomes you to contact him with any questions about sustainable investing.